You are in for a treat! With peaches being prime in season right now, we can imagine a more appropriate dessert recipe! The Busy Cooking Momma has created this wonderful cobbler made with Epicurean's Sweet Cinnamon butter... oh, it's so good! "Once I got home, I remembered I had received a sample of Sweet Cinnamon butter in my sampler pack from Epicurean Butter. The first thing that came to my mind at that point was a cobbler. 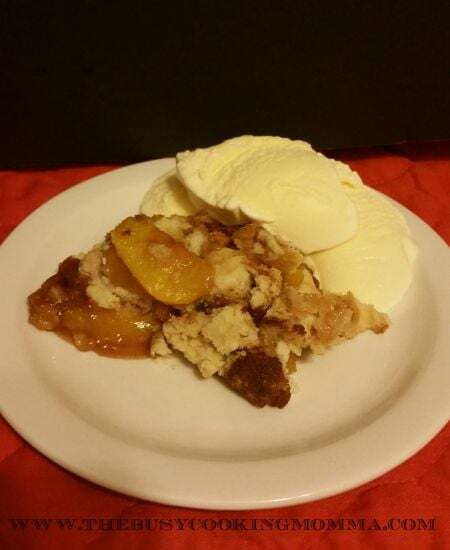 So, stepping out of my comfort zone a little, I created a fabulous Cinnamon Peach Cobbler that I think you are going to love!" Find her delicious recipe here.